Has the Chromebook failed its mission? 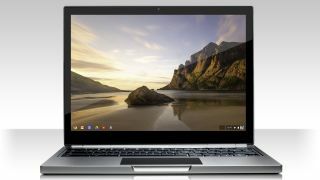 Some first usage figures for the Chromebook have surfaced, suggesting that Google's netbook has failed to resonate in the post-PC age. NetMarketShare reported that during the first week of monitoring Chomebook web activity, only 0.02 per cent of overall traffic came from the Google OS system. The Chromebook first began shipping in June 2011, with talk that it would see off Windows and shake up the post-PC market. But it looks like the device might have hit at the wrong time, with the netbook category ailing rapidly. However, this might not be the whole story. Stephen Baker, industry analyst with the NPG Group in the US, told PCWorld that despite these poor figures the Chromebook still owns over 20 per cent of clamshell notebook sales below $300 (£195/AUS$290). "In terms of sales volume, we have been extremely impressed with how the new Chromebooks are doing at retail," he said. "It's selling at a pretty decent rate for a product that retailers have been reluctant to support." So is it or isn't it? The Chromebook's internet-only approach has been very divisive, with the popular belief that the device is still too ahead of its time. Perhaps when we finally find ourselves in a world of constant internet access, the Chromebook might not seem such a bad idea to a lot of people. We contacted Google but it declined to comment on these figures.